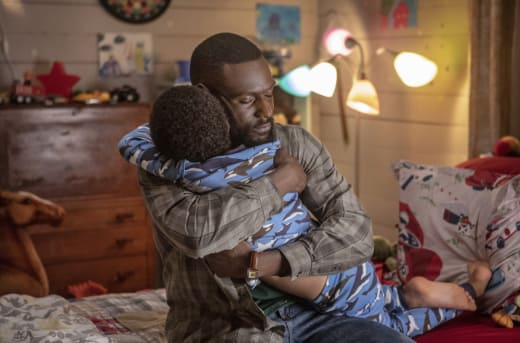 Ralph Angel got blindsided on Queen Sugar Season 3 Episode 10 and, thankfully, held his temper better than expected. As if Darla serving him with custody papers and asking for a 70/30 split weren't enough of a shock, the Department of Children and Family Services showed up on Ralph Angel's doorstep, complete with a uniformed law enforcement officer to watch over the proceedings. How many of us would fare well at having DCFS show up on our doorstep unannounced? I'd guess that more parents than not have dirty dishes in the sink and toys scattered across the floor. Ralph Angel isn't perfect, but he's been a wonderfully loving father to Blue. I have to believe that DCFS knows when it's being used in a custody battle. Despite one mild outburst, Ralph Angel took it all as well as could be expected, and then he called Darla. The entire time DCFS was at Ralph Angel's home, I kept thinking that I couldn't believe Darla took things this far this fast. But it wasn't Darla at all; it was Darlene. Talk about a meddling mother! I have no doubt Darlene pushed Darla to file for custody, but to file a complaint behind her daughter's back was a blatant betrayal and I can only hope that Darla sees it that way. Darla was seething when she got home to find her mother smiling and DCFS waiting to interview her as well, but will she stand up to Mommie Dearest, especially when her parents are footing the bill for her new home? Darlene might be able to manipulate her daughter, but Violet was having none of it. Violet raised Blue while Ralph Angel was in jail and Darla was off getting high and turning tricks. During those years, Darla's parents sent money but never so much as visited their grandson. I can't even wrap my mind around that. Darlene could have raised Blue, but that would have led to a lot of uncomfortable questions from her well-off friends. When Darlene said she was grateful to Violet and Ernest for caring for Blue all those years, I was as angry as Vi. It's so nice to know that she's grateful that someone else stepped up to be her grandchild's family while she all but turned her back on him. 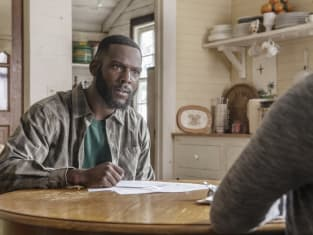 One of the best Queen Sugar quotes was hearing Violet state the obvious when Darlene smugly pointed out what her money could buy Blue. Darlene: We can provide the best care, money, and stability that that child needs. Violet: Like your daughter had. See, maybe if the mama ain't here one minute and gone the next Blue wouldn't be having these problems. Did you ever think about that? All of that money and stability didn't stop Darla from becoming a junkie, and having Darla jump in and out of Blue's life has caused more problems than it's solved. Hopefully, clearer heads prevail, and Darla and Ralph Angel can work out an amicable 50/50 split, but if not, Darlene and Darla will have one heck of a fight on their hands. The Bordelons aren't about to give up on Blue, and with their determination and Charley's money, I don't think Darlene will know what hit her. Darlene wasn't the only one who felt Violet's wrath, but where it was accurately aimed at Darlene, I can't say the same for Nova. Violet saw Ernest's struggle with grief and depression as a weakness, but I disagree. He got help, talked it out with a friend and kept on going. That takes great strength. When Nova attempted to explain that to Violet, she couldn't hear it. It took Hollywood sharing his own pain to get through to her. Hollywood's depression over the anniversary of his ex-wife's miscarriage had me wondering if the feelings were more intense this year because he realizes he's never going to have a child of his own once he marries Violet. That's a dream that must be difficult to give up when it's something you've always wanted. Speaking of giving up on something, Nova and Remy decided to end their budding relationship before it had barely gotten started. [to Remy] What I feel for you is real but it's not worth the price it would take from those we love. I can feel that, can't you? 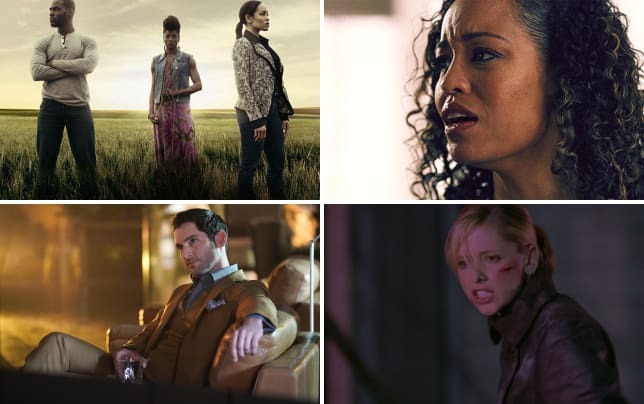 I found these two to be a more interesting couple than I expected, but they were right in that trying to make this work would cause distress to the people they love. Or to put it succinctly, You don't date your sister's ex! 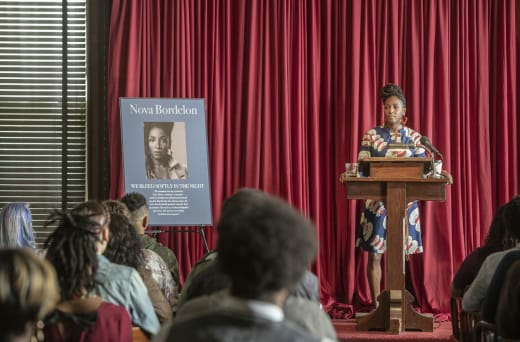 In three seasons we've watched love walk out Nova's door several times. It would be nice to see her find lasting happiness with someone soon. Finally, we get to Charley who has problems she knows about and another of which she's oblivious. Watching Charley handle Colton Landry like a boss was incredibly satisfying. 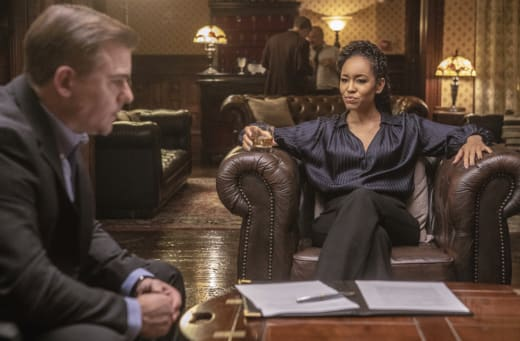 He sat there exuding arrogance as he told Charley how her knowing about his mistress didn't matter, and then she sucker-punched him with the information about his money laundering scheme. Still, he did his best to try and weasel his way out of handing over his 10% of Landry Enterprises. Colton: I'll give you half. Now, five percent's a lot. Charley: Money laundering is a federal crime, Colton, and not only will you go to prison but the painstaking FBI searches and all of the investigations into your Daddy's company's finances, everything you've ever been a part of. He'll regret ever giving you a dime. I want it all. All ten percent. I'm not here to barter. You can take your Daddy down or I can take you down. Your choice. These are the moments when I love Charley Bordelon the most -- when she smiles at her enemy as she calmly, calculatingly conquers them. It's the equivalent of watching a tigress lick its paws after taking down its prey. But where her strategy for handling the Landrys may be going well, taking care of Prosper has turned out to be a challenge. Prosper is so fearful of dying that he's not willing to risk living. I'm guessing that if he doesn't want to end up wheelchair-bound, he'll have to have that surgery, and it doesn't look like his daughter will be stepping up to help out any time soon. On some level, Charley is helping Prosper to make up for not being there to aid her own father and to thank Prosper for being a friend to Ernest. Unfortunately, the dilemma Charley doesn't even know exists is Micah's involvement with the fire at the plantation. Micah stumbled severely over sharing the truth with Keke. First, he never told her that the fire was an accident and then he tried to make her feel guilty for not being there with them, even though she'd known nothing about it and was doing what Micah probably should have been doing himself, studying. Stop acting like you're woke just because you burnt down our ancestors home and you got your friend arrested. I'm guessing that the police arrested Anthony not because they had any real evidence but because he'd been in trouble in the past and they're hoping to get him to talk. If they had evidence, it would more than likely point to the rest of the teens as well. Now Micah needs to pray that Anthony is smart enough to keep his mouth shut or they could all end up being arrested for this and being charged with arson will ruin all of their futures. Charley has lost her marriage and her mill but those she can survive. Losing Micah would devastate her. 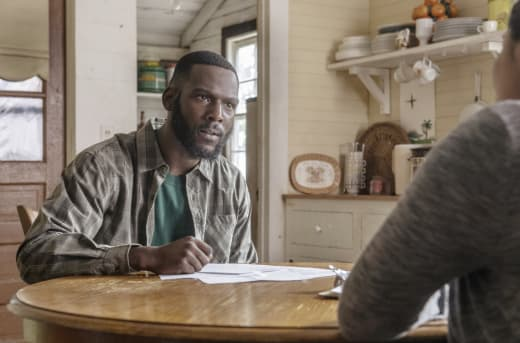 Check back for my review of Queen Sugar Season 3 Episode 11, and until then, you can watch Queen Sugar online here at TV Fanatic. My Mama was my North Star, free, fierce, a warrior. My Mama was the ground beneath my feet but the day the sickness came the trees shook and the ground swayed and at 19 I let out a cry in this earthquake of sorrow. She was my everything. Grief and confusion wedged into every corner of my universe. Where her bright light once chartered my way, everything went dark. But an hour from New Orleans on the other side of Lake Pontchartrain, deep in the stalks of the cane fields, my sweet Daddy's tears quenched the earth. I never knew that that land and my mama's grave beneath it were more than he could bear.